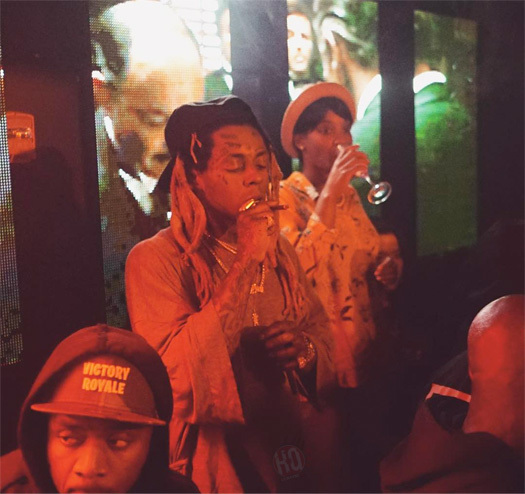 I previously posted up a couple of pictures last month, and now we can see some footage of Lil Wayne making an appearance during the Before Anythang album release party at Studio 23 in Miami. While at the event in Florida on March 31st, Weezy and Birdman reunited by chopping it up both inside and outside the venue, as well as posing for pics together. You can check out a couple of clips showing a recap of Tunechi at Studio 23 after the jump below! Photo credit: Adam Bains from HitsTape.